People-friendly digital products and services are often more planet-friendly as well. That’s because the faster you get users to the content they need, the less energy is used. And our websites and mobile apps use a lot of energy. In fact, the internet is well on its way to being the largest source of carbon emissions in the world. According to Greenpeace, if it were a country, the internet would be the sixth largest user of electricity behind China, the U.S., Japan, India, and Russia. And very little of that electricity comes from renewable sources. But this is something we can fix. 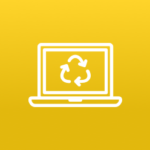 By applying standard sustainability practices to the process of building digital products and services, we can significantly reduce the impact our websites, mobile apps, and digital media have on the planet while also making them more efficient, user-friendly, and engaging in the process. 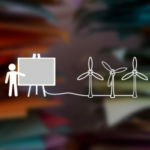 Throughout its eight chapters, Designing for Sustainability offers techniques for creating more user-friendly and efficient digital solutions that are powered by renewable energy. Each section outlines a set of practices to try on your own projects and ends with a specific list of action items you can take to bring sustainable design to your own work. Designing for Sustainability: A Guide to Building Greener Digital Products and Services is available through most major booksellers. Don’t want to commit to a book but still interested in making your website faster and more sustainable? Check out our website sustainability checklist below.